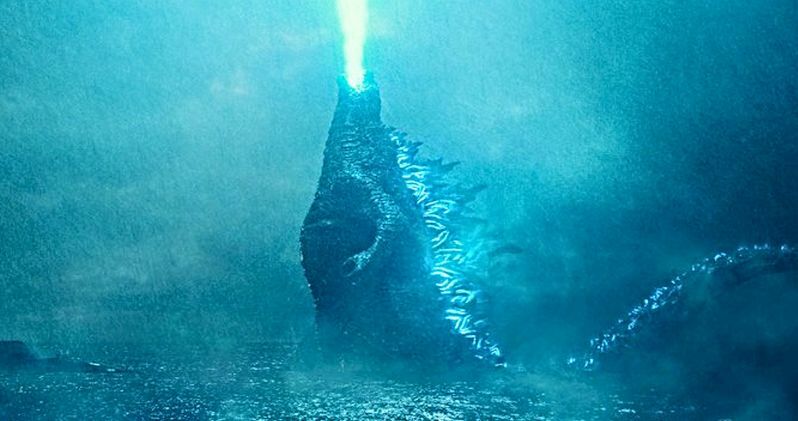 Ahead of San Diego Comic-Con, we have our first look at Godzilla: King of Monsters and it looks like monster fans are going to be in for a real treat when next May rolls around. The official title of the sequel is Godzilla: King of the Monsters and it's a follow up to 2014's Godzilla. It's been 5 years since we've seen what Godzilla was up to and while it's only a picture, it's pretty awe-inspiring. Additionally, there's another image that shows our first look at Stranger Things actress Millie Bobby Brown in the film. Godzilla 2 director Michael Dougherty says that the humans in the sequel are acting in the typical way that humans act after discovering something that they don't understand, which means that there's a lot of overreacting going on. However, it seems that overreacting might not be all of that bad since there is fear that there are more than just Godzilla hanging around on Earth. The paranoia may end up serving the human race well this time around. Dougherty had this to say. The fear of more monsters in Godzilla 2 is well warranted. Since the title is King of the Monsters, we know that more are going to show up in the sequel and that there's going to be some pretty intense battles as a result. Michael Dougherty went into some detail about one of those monsters, Rodan, calling him a "winged A-bomb." The director went on to say that he may even be more powerful than Godzilla. Dougherty explains. "Rodan's been kind of a sidekick character, but I've always had a soft spot for him. In a lot of ways he's more powerful than Godzilla. He's like this winged A-bomb. I think we've done him justice." Stranger Things actress Millie Bobby Brown is also featured in one of the Godzilla 2 images with her on-screen mother Vera Farmiga. The two actresses play Madison and Dr. Emma Russell, respectively. The mother and daughter team are kidnapped by a mysterious organization and it's up to Kyle Chandler's Mark Russell character, who is Emma's ex-husband and Madison's father to save them. Kyle Chandler was also in Peter Jackson's 2005 remake of King Kong, leaving many to speculate that he'll return to the big ape in 2020's Godzilla vs. Kong. When asked about the atomic breath shown in one of the first-look images from Godzilla 2, Michael Dougherty kept his mouth shut. He wouldn't say much, but did indicate that the specific image with the blue flames comes at a pivotal part in the sequel. Dougherty says, "it takes place at a very key moment and it's a sort of call to arms." That sounds pretty intriguing, especially considering how awesome the image looks. You can see all of the images below, thanks to Entertainment Weekly.